TAUNTON, Massachusetts — April 26, 2017 —Royal Contract Lighting announced today that it has created hundreds of custom lighting fixtures for MGM National Harbor, a premier entertainment destination located in Maryland and the first luxury gaming resort in the Capital region. Royal Contract Lighting was engaged by pro.cure llc, a procurement-services provider of furniture, fixtures, equipment, and operating supplies to the hospitality industry, and RAREculture, which offers product development, artwork curation, and sourcing services for the hospitality, office, and retail sectors. 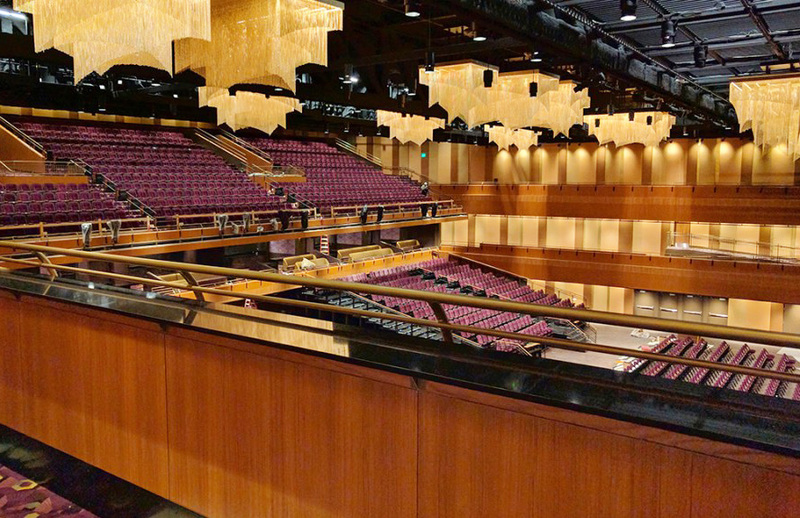 Royal Contract Lighting worked closely with designers at KNA Design to develop fixtures that supported the design goals. MGM National Harbor’s design draws inspiration from the Capital’s architectural legacy with a modern, minimalist interpretation. 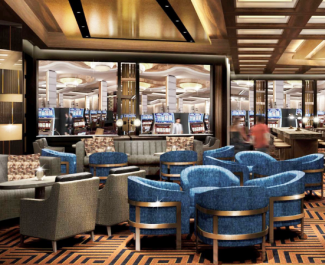 The $1.3 billion property features a 125,000 square foot casino, 234 guest rooms, 74 hotel suites, a 27,000 square foot spa, a 3,000 seat theater, 18,000 square feet of retail space, 15 dining options, and 50,000 square feet of meeting space. 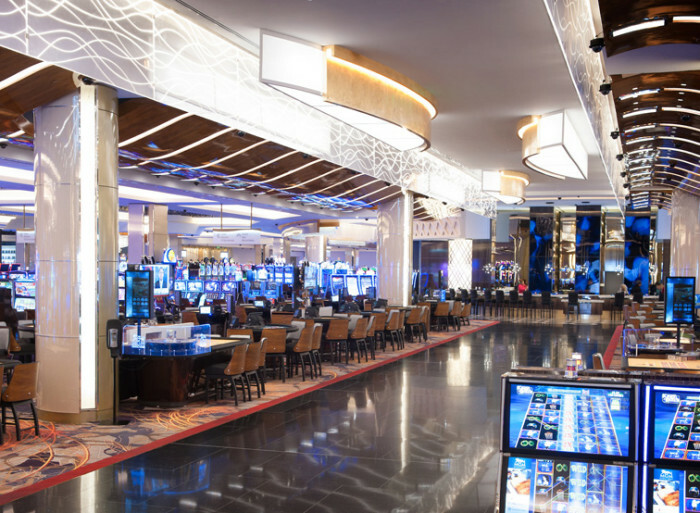 Royal Contract Lighting created 11 lighting fixtures for the casino’s main hallway. These sculptural fixtures, 20 and 25 feet in length, feature a fin-shaped glowing linen-finished box with a curved gold blade facing the hallway. 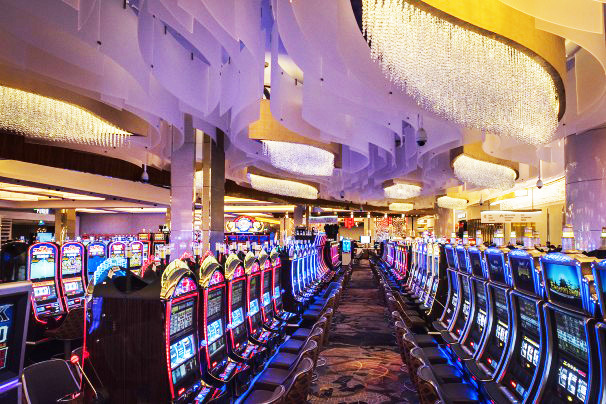 Royal Contract also created 256 frosted white acrylic wave panels that serve as architectural elements throughout the casino and highlight gold and crystal ceiling fixtures. The 3,000 seat theater, designed by Scéno Plus, called for 18 dramatic, oversized fixtures hung with strands of brass-plated steel beads. Royal Contract Lighting manufactured these four-tier fixtures, which are 10’ high, 6’ wide, and up to 12’ long. 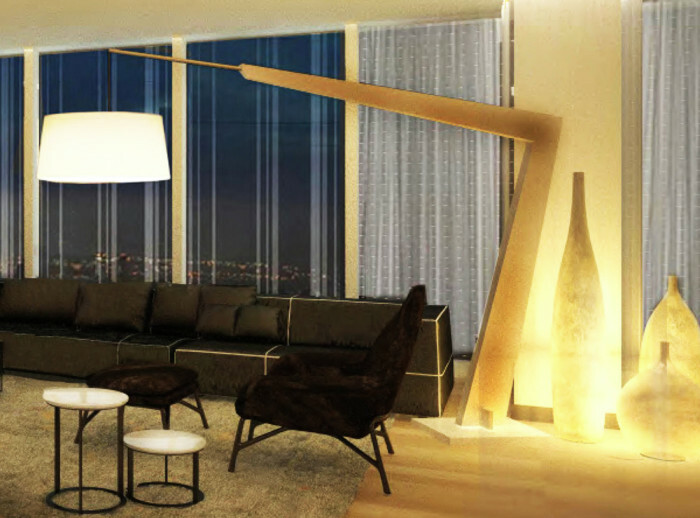 Royal Contract Lighting also created decorative stone floor lamps of cast resin for the Chairman Suite, as well as table lamps for the Communal Bar at MGM National Harbor.